For temporary privacy that you can open or close, Sideline retractable blinds are perfect for balconies, terraces and garden areas. 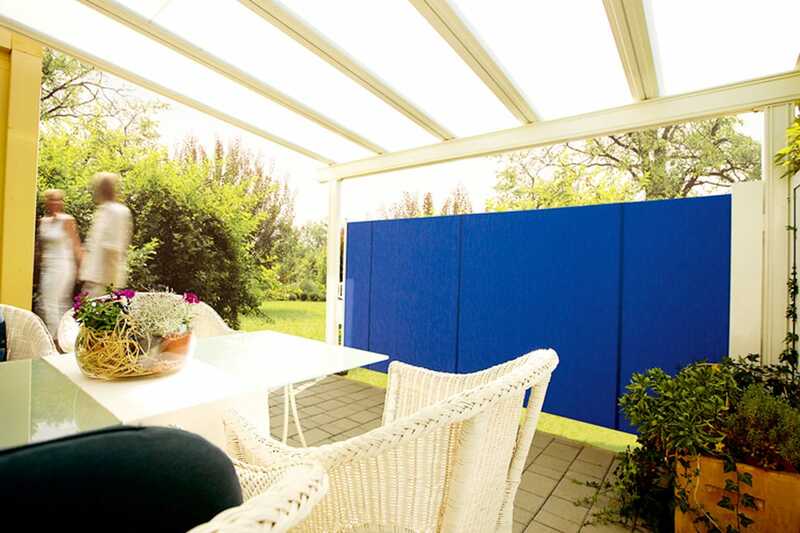 As well as providing privacy, Sideline retractable blinds can be rolled down to block out the harsh easterly or westerly sun, while leaving your outdoor area light and bright the rest of the day. With a wide choice of Helioscreen fabrics and durable powder coat colours, your Sideline retractable blinds can be designed to suit any external facade. The Sideline can be mounted on the floor, wall, or by using a lawn mandrel or a concrete floor holder. A secure lock gives you peace of mind when children are around, avoiding kickbacks or unwanted opening. Our Showroom in Parry Street, Newcastle is home to our full range of blinds. Come and visit us today. One of our friendly consultants can visit your home in the Newcastle, Hunter or Lake Macquarie region to discuss which blinds will suit your space the best.